Further down you can preview all our currently available scores for the tune of Let It Go (from Frozen). Mac Huff, Idina Menzel, Robert Lopez, Demi Lovato, Kristen Anderson-Lopez, Barrie Carson Turner, Pentatonix, Roger Emerson, The Piano Guys, Jennifer Linn, Mona Rejino, Phillip Keveren is the composer of Let It Go (from Frozen). In order to see a one page preview of Let It Go (from Frozen), please click on the preview button for the arrangement that you would like to view. Once you have viewed the score, close the pop-up window, and you can choose to view a different arrangement for Let It Go (from Frozen) in order to make a better purchasing decision. You can easily modify the instruments for which you are viewing all currently available sheet music scores. All you need to do is change the instrument selected (the default is "All Instruments") in the box next to the instruction: "select instrument". You can post your customer feedback on any of the Mac Huff, Demi Lovato, Idina Menzel, Roger Emerson, Pentatonix, The Piano Guys, Mona Rejino, Robert Lopez, Marcus Miller, Kristen Anderson-Lopez arrangements on this song page. Navigate to the Comments tab below, make sure you are logged into your Great Scores account, and after choosing a username, which from then on will be permanently assigned to you for leaving comments, you can type in your review. No spam or URLs, please, as these will be deleted. Are you a net-savvy social networking guru? The why not use the share function on this page to post this song page to your Twitter account or Facebook page. You can also share via email and other social media. 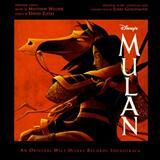 You currently have the choice of 75 arrangements for Let It Go (from Frozen). Within that number of scores there is currently a choice of 20 instruments. In the box below you will be able to preview our Ukulele arrangements of Let It Go (from Frozen). 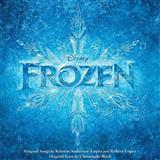 If you buy the full score of Let It Go (from Frozen), you will also get all the individual instrumental parts. You will be able to preview the individual parts of the arrangement as well as the full score.